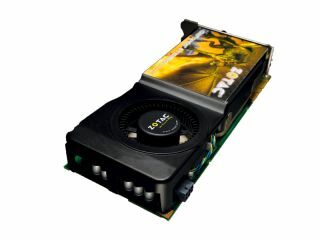 Graphics card manufacturer Zotac has announced that is moving to high-resolution only outputs. Zotac has insisted that the future lies away the legacy TV output port, and will now only include HDMI, dual-link DVI and VGA outputs on its GeForce GTS 250, 9, and 8400GS series graphics cards. "As new displays are shedding old connections, it's the perfect time for us to move ahead do the same." It's almost certain other manufacturers are likely to follow suit as consumers increasingly look for HD television outputs like HDMI in their graphics cards. "Zotac was the first graphics card manufacturer to include DVI-to-HDMI adapters and S/PDIF audio input throughout its entire lineup in the early days of HDMI connectivity," added Berger. "Now that HDMI is becoming a default standard for monitors and televisions, it was an obvious forwards-looking move."